The four-year-old somehow managed to squeeze into a gap in the furniture at a pedicure shop in China. Firefighters had to come to the rescue of a boy who managed to get his head stuck in a sofa. The four-year-old somehow managed to squeeze into a gap in the furniture at a pedicure shop in China on August 20. And footage taken during the rescue in Tongren City, in southwest China’s Guizhou Province, shows the moment the boy is finally freed. 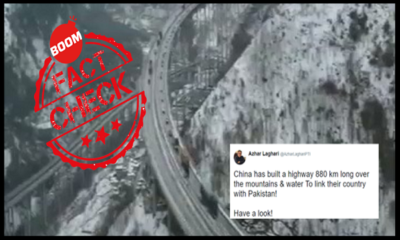 “If Indian Opposition Doesn’t Consider Masood Azhar A Terrorist, Why Should We?”: Did China Say This? 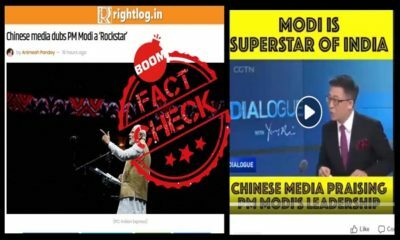 Did Chinese Media Call PM Modi A ‘Rockstar’ In The Backdrop Of Abhinandan’s Release?